​(free and open to the public)with a chance to socialise. As the 'Dialogues with the Past' conference will explore concepts of memory, history and biography we have chosen to showcase Jones's own personal and retrospective view of his life and art as he presented it in a recently rediscovered 1973 film interview alongside sections chosen from biographical programmes made by Jones's friends and admirers. In a long-term project, Anne Price-Owen and Jasmine Hunter Evans have worked with film producers and generous sponsors to make these wonderful resources available to Jones scholars and the public. The film screening will be introduced by Anne Price-Owen (head of the DJS) and will include fragments from the 1973 Jones interview, Leo Aylen presenting his HTV entry for the Italia Prize 'Steel be my Sister' and sections from a programme on Jones's artwork by Arthur Giardelli. The screening will involve Q &A sessions to discuss the materials and the new perspectives they bring to our understanding of Jones as an artist, thinker, and writer, and will be followed by a wine reception, free to both conference delegates and to the public. 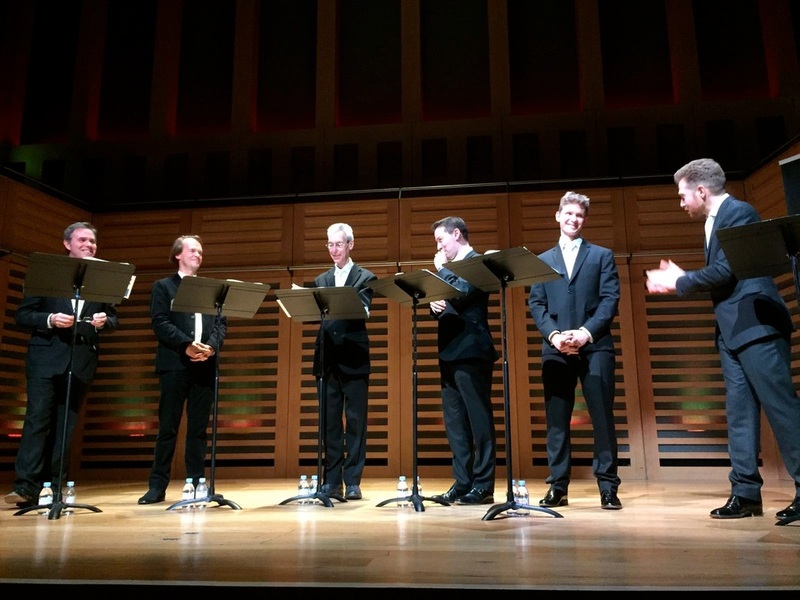 We are pleased to announce that Opus Anglicanum, a unique vocal ensemble composed of 'five men singing unaccompanied & a narrator,' will perform their commissioned sequence of 2015: a musical illumination of Jones's description of the Battle of the Mametz Wood from In Parenthesis. The sequence is comprised of an antiphonal dialogue between sections of Jones's text read aloud, and music both taken from the text and responding to its themes. Find below the itemised programme and more detailed information about this exciting composition. The sequence will be preceded by a short introduction echoing the relevance of sacredness and sound in the work of David Jones, and will include a performance from the Schola Sancti Wilfridi of the medieval chant, Vexilla Regis, (which features in the OA's sequence). The chant will be followed by a short meditation on the role of the sacred in Jones's work. Opus Anglicanum - An English Music. We give performances of our own intriguing and audience-friendly story-telling sequences. These are carefully crafted, using narrated texts and unaccompanied sung music of all kinds. We use the full historical European repertoire of polyphony, part songs, street song, music hall and traditional song, from the present right through the ages back to the seventh century chant of the Roman church, as well as commissioning our friends among contemporary composers. The reach of the spoken texts is equally wide. Our sequences have covered subjects as diverse as Shakespeare’s Sonnets, the Cornish fishing industry, Angels, Gardens, the collecting of English folk music, the Tudor poet John Skelton, the escape of Charles II, the sinking of the destroyer HMS Duchess in 1939, and Einstein’s theory of relativity.